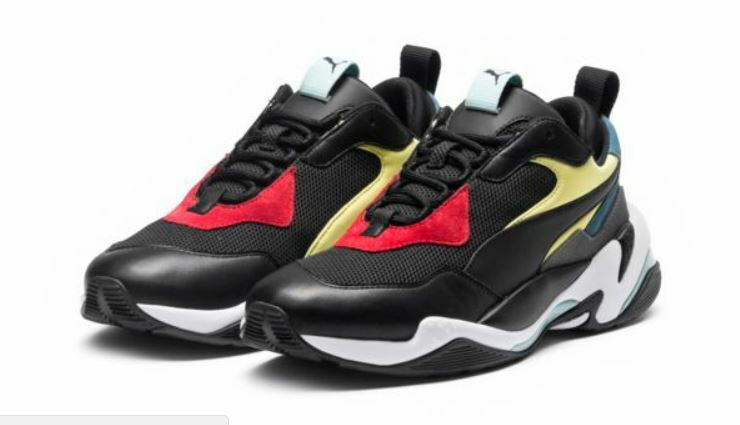 Good News ,the Puma Thunder Spectra Sneakers will be Available at 10am EST HERE at Puma, HERE at Kicksusa & HERE at Shoe Palace. Inspired by the human anatomy, the Thunder Spectra Sneakers feature distinctive athletic shapes and additional structure thanks to the moulded TPU laid over the premium mesh and nubuck for an unmistakable rib cage effect. A comfortable IMEVA midsole keeps these sneakers lightweight and comfortable on the foot. The exaggerated tooling, blown-up proportions and loud colour blocking make these sneakers just as stylish as they are functional.